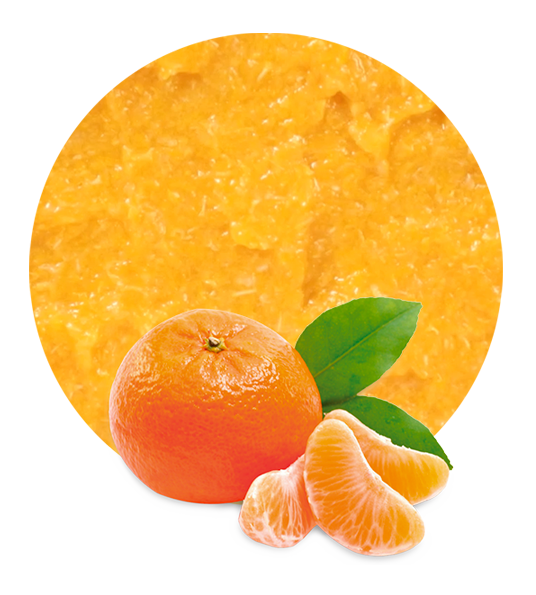 Our Orange Pulp Cells are manufactured with oranges that grow up nearby the Mediterranean Sea, with its characteristic climate, warm during the day and cold at night; main reason of its characteristic flavour and freshness. Orange Pulp Cells can be applied in fruit beverages, food industrial applications, dairy products, bakery, ice creams, soft drinks/drinks, ready meals, jams and syrups. 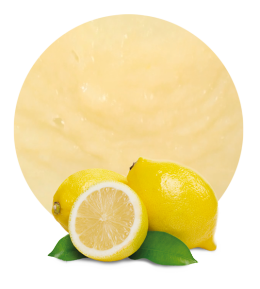 However they are normally used to give body to orange juices, certain blends and ice creams. The frozen citrus cells are 100% natural, and are obtained by separating the orange pulp of the freshly squeezed juice of naturally matured orange from the cells. The Orange Pulp Cells are pasteurized and frozen in order to guarantee its perfect conservation. It contains no preservatives or additives. It is free from preservatives, essences, colour and alcohol, and it is fit for human consumption. It is not preserved, so no sulphur dioxide is added. Orange Pulp Cells are prepared in accordance with the “General Principles of Food Hygiene” recommended by the Codex Alimentarius Commission. Storage at minus 18 degrees Celsius is suggested for the quality maintenance of this product. 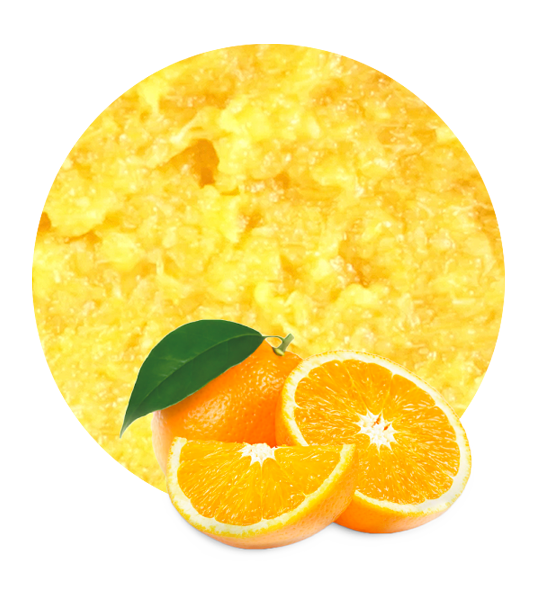 Orange milled pulp cells are also available, and the same quality is applied. All raw fruit materials are processed in modern production facilities, which combined with optimized logistics solutions, enables us to offer our customers the best service. 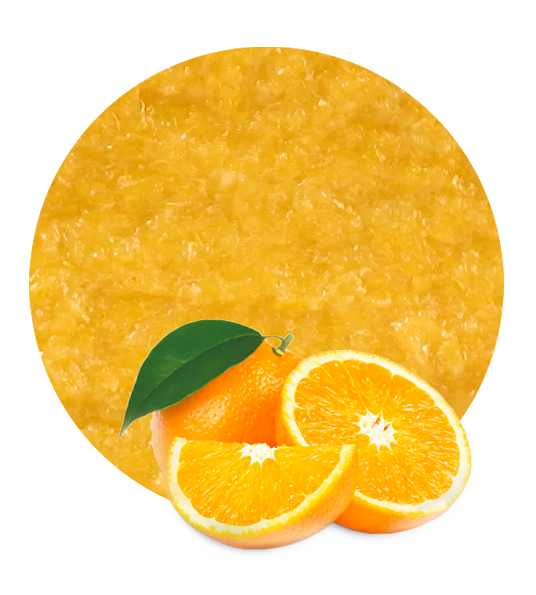 Apart from Orange Pulp Cells, we also supply lemon pulp cells, lemon milled pulp cells, orange milled pulp cells, mandarin orange cells, mandarin orange milled cells, clementine orange cells, and clementine orange milled cells.